The meteor shower will reach its peak tonight – Tears of San Lorenzo calls recorded 500 meteors each hour. The Perseids or tears of San Lorenzo are the most famous shooting stars of the year and the coming tonight will be the best to find a dark place, away from light pollution of cities, and look at the sky, which, according to the weather forecast, it will be no clouds in most of Spain. 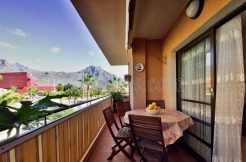 The Astrophysical Institute of the Canary Islands (IAC) will use to broadcast live from the internet phenomenon. The astronomical conditions this year, although they are not optimal, yes are good (the full moon is near -18 August- and hinder observations) and, according to estimates of the Institute of Astrophysics of Andalusia (IAA) Perseids could reach 500 meteors per hour, much more than in previous years. 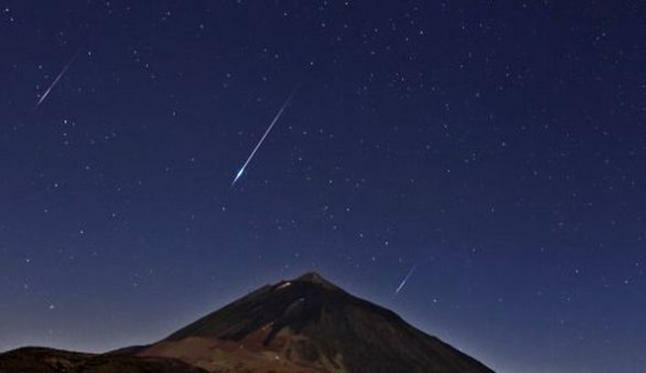 One thing is the astronomical conditions and other weather, unlike last August, this year are very good: practically all over Spain will be “in perfect condition” to observe the meteor shower, says Modesto Sanchez, spokesman for the State Agency Meteorology (AEMET). 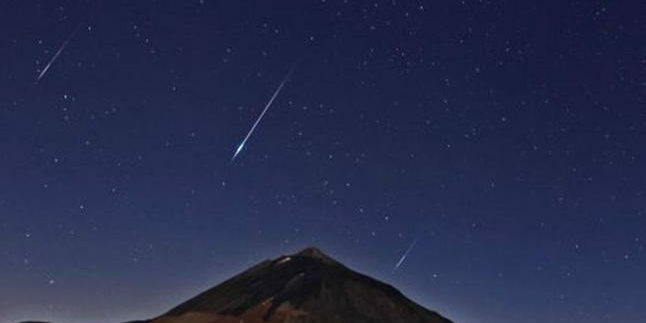 However, Sanchez, who points out that it will not rain anywhere, remember that the best place to enjoy the Perseids is one away from the cities, and advised to wear something warm, especially in mountain areas (in Castilla y Leon thermometers could fall below 11 degrees in some areas, according to Aemet). Meteor showers occur when the trace of dust and rocks left by comet in its orbit around the Sun entering the Earth’s atmosphere and volatilize producing a luminous effect: meteors. These phenomena can be anticipated in advance, as every year the earth in its path around the sun crosses the path of several comets, in this case the Swift-Tuttle. Each year at this time the planet crosses the orbit of this comet, which is full of small particles, the size of grains of sand. When these particles enter the Earth’s atmosphere, the friction heat so that it vaporizes at high altitude. For a few seconds the particle shines like a star, so this phenomenon is the popular name shooting star. As every year, observatories and planetariums organize activities to see them. In this regard, in collaboration with the portal sky-live.tv, will broadcast live from the two observatories Archipelago (in Tenerife and La Palma), according to the Institute of Astrophysics of the Canary Islands (IAC). Meanwhile, the Institute of Astrophysics of Andalusia (IAA), from where they hold that against a hundred meteors per hour that usually offer the Perseids this year will be 500, this show will be recorded for the first time in color and high definition thanks to a probe. Thus, in collaboration with the Association AstroInnova and Daedalus, launch tonight probe to record from the stratosphere. Meanwhile, The Pamplona Planetarium will make his traditional “astronomical meeting” today in Foz de Arbayún (Navarra), for which chartered several buses, while in Urdaibai (Vizcaya), the Biodiversity Center of Euskadi organizes an observation the 13. the Astronomical Observatory of Mallorca estimates that some 1,700 people will at some time between yesterday and today it has planned several activities.